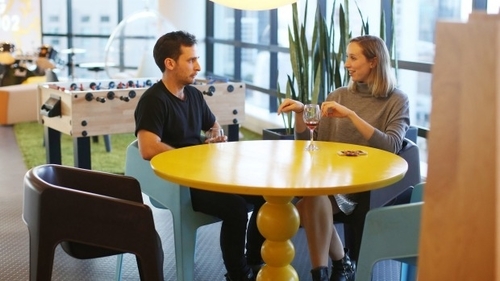 I am guessing this idea that came out of a creative brainstorming session – a Canadian company (FreshBooks) discovered with a new way to get to know your colleagues – A no-romance date. I like it because communications at work break down far too easily, simply because we never take the time to know the PERSON we are speaking to. I like it because we all have different communication styles and experiences which have programmed our brains to process information differently, making it VERY easy to offend each-other. I like it because it reminds us that we are working with human beings, despite being in front of a computer/phone most of the day.